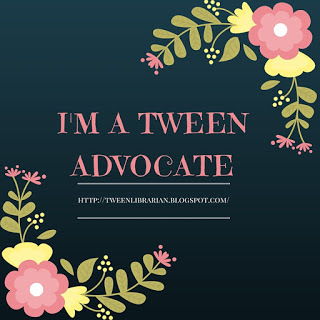 Please welcome author Jaclyn Dolamore to GreenBeanTeenQueen! 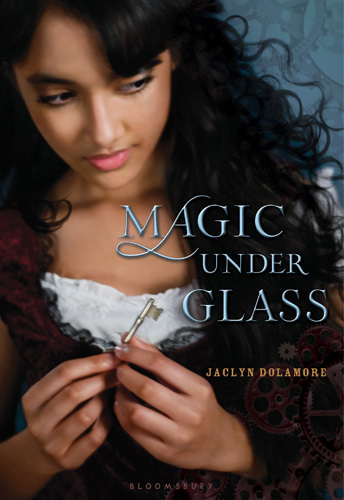 I loved Magic Under Glass and I'm thrilled there will be a sequel, Magic Under Stone. - I loved that your book featured an automaton-it made the storyline very unique! How did you get the idea for including an automaton in the book as one of the main characters? I've always liked stories about inanimate things that look human coming to life and havin g a soul. For years I've been writing stories set on another world where one of the races are living dolls called "rag people" who can look very real but are usually discriminated against. I also had a race of android with souls, but I stopped writing about them because the society didn't seem to have enough technology otherwise to make such lifelike robots. But, when I was thinking about writing a Victorian novel, I thought about some of the creepy things that fascinate me in museums, and automata and mechanical music are some of my favorites! From there, it was an easy jump. -I know that you like vintage clothing-do you have a dream vintage outfit you would love to wear? Ooh. Something by Paul Poiret. His clothes are amazing. Or Schiaparelli, although I'm a bit pickier with her. I'm also pretty in love with some of the dresses from just after the French Revolution. They weren't as fussy as the 18th century look, but not as completely simplistic as the Regency. And I would really like to know, for research purposes, what it's like to wear a corset and all those underclothes! -I saw that you attend a Teen Book Club at your local library. Do you have any favorite book club reads? It's not a surprise, but FEED by M.T. Anderson makes for great discussion. I also immensely enjoyed the day we just talked about the Harry Potter books. We pick a lot of depressing dystopian books, it seems, so it was a nice change to talk about the relatively cheerful wizarding world. 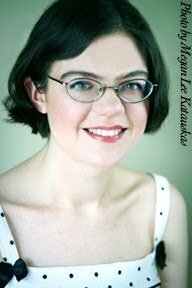 -You hosted an Emily of New Moon February on your blog. Why did you pick the Emily books to read and discuss? I had to stop because of my repetitive stress injury in a lot of writing to do, but I hope to pick that project back up again! I love the Emily books. Actually, they're my favorite books of all time. The characters and places just seem so real to me. But they aren't perfect... there are some aspects of the books I don't like very much. And there are some things I loved as a kid (I had a crush on Dean Priest?) that I now feel have changed (he's actually a creep). However, that just gives me some discussion fodder... like, did L. M. Montgomery make him a creep because of her own issues with men? -If you could live inside any book, what book you pick? Well, if I couldn't pick a book I had written (there are some characters I would so love to hang out with!) I would pick the Betsy-Tacy books. Everyone seemed to have a good time. Thanks Jackie! If you haven't read Magic Under Glass yet, be sure to pick up a copy. And check out the blog, since there's a contest to win a a signed sketch of Nimira. I've got this book on order. I'm really looking forward to reading it! OH, this was a fantastic book. It actually snuck up on me - I thought it was good while reading it, but it's been sticking with me for days. I can't wait for the next one. Another book I need to read! Nice interview.